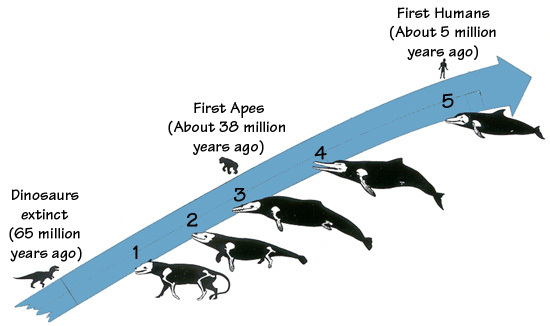 After millions of years an air-breathing mammal modified for life in the sea had evolved into the dolphin. As a result of evolution, its nostrils slowly migrated from its nose (or rostrum) to the top of its melon (head), making it easier to breath when swimming or resting partly under water. Unlike seals and walruses which breed on land and feed in the water, today dolphins remain almost entirely in the water for all life functions. 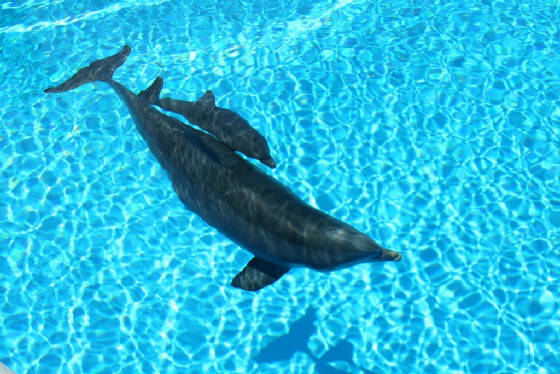 As dolphins are essentially "weightless" in the water, their bones do not have to carry the weight of those of land animals. Thus, the bones of a dolphin are relatively lighter than land mammal bones. The Tokyo Institute of Technology recently reported developing a new way to look at an animal’s genetic history using DNA tracking. The DNA sequences they studied were called short interspersed elements, or SINEs, and long interspersed elements, or LINEs. These elements, once found in an animal’s genome do not disappear and will point to its evolutionary origins. The genetic evidence from this technology indicates that dolphins are closely related to cows, antelopes, giraffes, and that pigs may be their closest relatives, as they all have the same SINEs and LINEs. The dolphin’s 3-chambered stomach functions in the same way as the 4-chambered stomach of a cow, perhaps providing additional evidence of this evolutionary link. Additional work in genetics along this line is being carried out by Dr. David Busbee and his team at Texas A & M University. 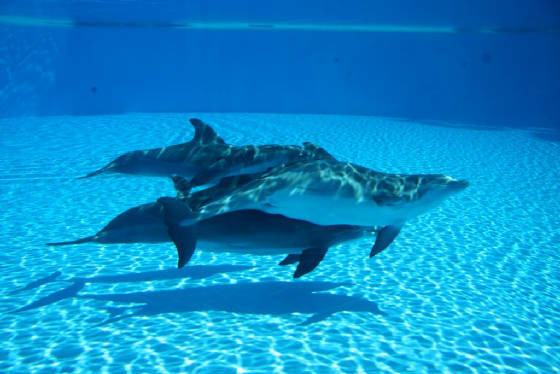 Through Dr. Busbee's team's work it has been discovered that dolphins and humans share many chromosomal similarities and that dolphin and human genomes are basically the same. Every chromosome in the dolphin has a comparative chromosome in the human.